SMMT Full Year 2014 figures are out for Northern Ireland and the market is up 9% on 2013 to 57,202 registrations, replicating the overall UK year-on-year gain. Despite storming off the Top 10 in December and dropping by 2% year-on-year, the Ford Fiesta is still the best-selling vehicle here at 2,259 units while the VW Golf overtakes the Ford Focus to rank #2. Excellent year of the VW Polo (+22%) up 3 spots to #4 and swapping rankings with the Vauxhall Astra (-19%). 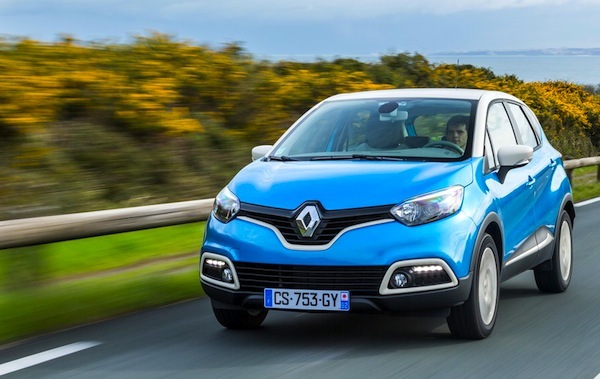 The Renault Captur excels and spends its first full year in market at #8 with 1,106 sales and 1.9% share, making Northern Ireland the only UK nation to welcome the Captur in the Top 10, accompanied here by the Clio at #10.